Below is a list of components that you’ll need for the web design process. I created this list for my customers when I was doing custom web design, so it represents many years of practice understanding the ingredients that are necessary to have in place (or at least begin to have in place) before you start the design process. Choose your domain name carefully to make sure it is memorable and easy to spell, especially when spoken over the phone. Avoid dashes or numbers if possible, as they require additional explanation (is that the number 3 or three spelled out?). You will need to register your domain through a registrar, or your web host. I recommend registering all your domains in one place from a registrar rather than through your host – it makes it easier if you ever decide to switch hosts, and dedicated registars usually have better tools to manage your domains. We individually respond to every email we receive – no cut and paste responses. Customer service is handled by highly trained customer service representatives that are managed by our software engineers, so you are likely to get an intelligent response to your question. If you use them, my referral code is 7A8N7S6v6i8G7jW (thanks!). More on how to pick a great domain name. This is a list of what pages or areas you are going to have on your site. You may decide to change or add things as you go along in the design process, but it gives your designer a place to start. The clearer you are about what you are looking for, the easier it is for a designer to give it to you. Take some time to look for websites that inspire you. Write down notes about what you like and don’t like about each one. See also How do I decide what my website should look like? Professional photography is very helpful for online sales. This is especially true for sensory products like textiles or food. Clear, well-lit photos that show the detail of a piece let your products sell themselves. When planning your photo shoot, be sure to get clear product shots (and close-ups if appropriate), as well as some general photographs that can be used as graphical components in your site. These could be groups of your products in an artful setting or people using your product. Ask for your photographer’s input on how to capture the essence of your product and how to display it in creative and appealing ways. Great photography is a cornerstone of great design. Stock photos or illustrations can also provide visual interest and establish your style, and they don’t have to be expensive. 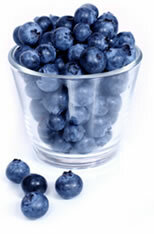 That photo of blueberries? A stock photo. Isn’t it lovely? My list of inexpensive stock photo sites will get you started. Whether you write it yourself or hire a professional copywriter, your copy is an important component of your style (i.e. your brand). From the product descriptions to the About page, make sure the writing is consistent and engaging. See also How do I write great website copy? There are many hosts to choose from. There are many bad ones and a few great ones. Your designer may have a recommendation, or they may offer hosting themselves. If they do, I would ask them if they can provide 24/7 support or if they are doing it all by themselves…you may want to go with an established company. I run a small, green-powered web hosting company called Acorn Host. If you would like to go with a larger company, or just shop around, I also have used and recommend WestHost, and have heard good things about DreamHost (I haven’t used them personally). If you need a VPS or dedicated server I highly recommend ServInt and LiquidWeb, they are datacenters I work with for Acorn Host servers. If you want to accept credit cards on your site you can either use PayPal or your own merchant account. When getting a merchant account, be sure that the bank knows you want it for online sales as using an offline account for online sales is illegal. For more information, see the posts on merchant accounts and payment gateways. If you wish to save some start-up costs you may wish to use PayPal as your payment processor. PayPal offers services that mimic a combined merchant account and gateway, without any start-up fees. They also bundle in a shopping cart. PayPal is excellent for new merchants who want a low-risk and easy way to start selling online. However, because there is a lower barrier-to-entry, it does sometimes give the feeling of being amateurish, so if you are in it for the long haul you may want to go for a real merchant account. Or you can always start with PayPal and add that later. And there you have it. Am I missing anything? Any resources to share? Comment below. Nice and very USEFUL tips. these are very must things for someone who is planing to design a website. A lot of time client just asked as “I need to make a website for travel business”. But he didn’t tell what he like his competitor etc. And after designing a fabulous website by our team, he complain about this is not something I would need, even he didn’t know what he really likes or wants. Well… I found this article a very good resource to redirect our client to this page will them planning a good understanding about what he really need.